Halls Gap Zoo and Grampians Pioneer Cottages have teamed up to offer you the ultimate KEEPER & SLEEPER (Zoo keeper for the day- Pioneer for the night) packages. 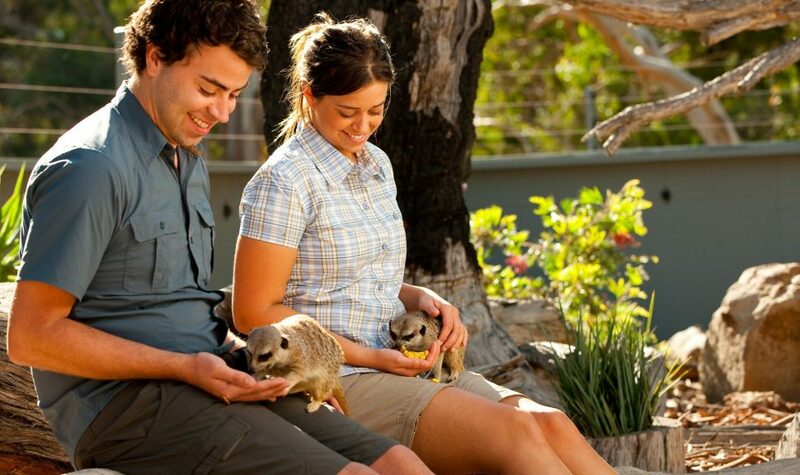 Price: starting at $427 for one adult and one child, includes two night’s accommodation, zoo entry for one adult and one child, personal pick up by zoo keeper, one meerkat encounter and a USB with photos. Halls gap zoo also offer the opportunity to experience a close encounter with the majestic giraffes, holding an alligator, snake, chameleon or with Australia’s largest carnivore’s mammal, the dingo. Price: Starting $407 for the snake encounter, $417 for the dingo encounter, $422 for the alligator encounter, $447 for the giraffe encounter, includes two nights’ accommodation, zoo entry for one adult and one child, personal pick up by zoo keeper, one reptile or dingo encounter and a USB with photos.